Folk’s SS12 pre-collection provides a brief preview of the products available as part of their spring and summer collections for 2012, utilising their popular and unique designs. The collection so far consists of just button down shirts, but displays a variety of materials and styles. The Zevon Overshirt is the highlight of the collection for me and has always been a favorite, applying thick cotton canvas and the distinguished ‘People’ logo, it launches the brand into an upper echelon in comparison with it’s neighbours. 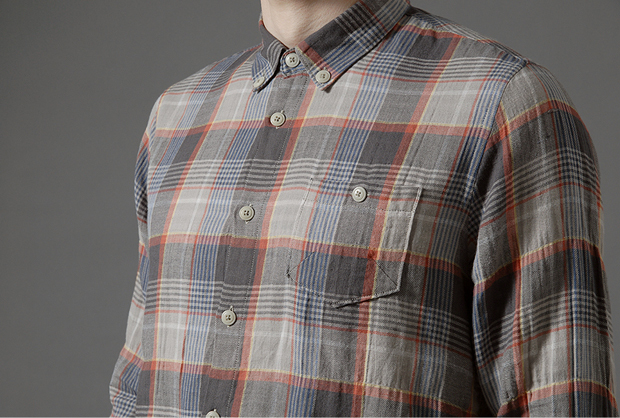 The Warm Grey Chequered shirt is a timeless design and shows off the brand’s attention to detail with the small squares at the hem of the shirt, however it doesn’t demonstrate the brand’s motivation to think outside of the box. Again the black and white chequered Szabo shirt is an example of this, somewhat lacking imagination, but a stunning and subtle shirt with all the right characteristics. 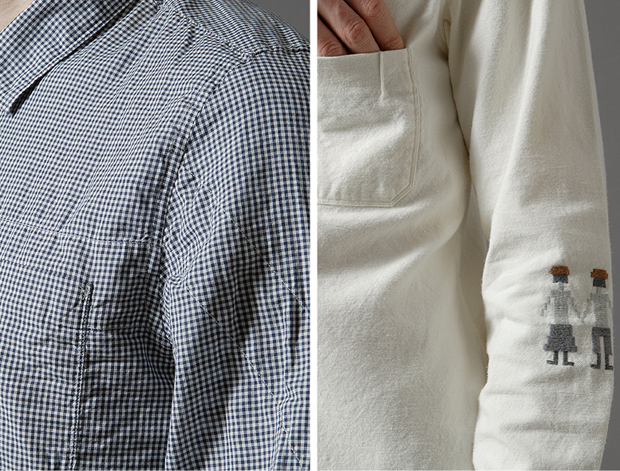 The It’s All Over Shirt is a truly accomplished and innovative piece, with the application of scallop dot print to the cotton canvas making it stand out amid many others. 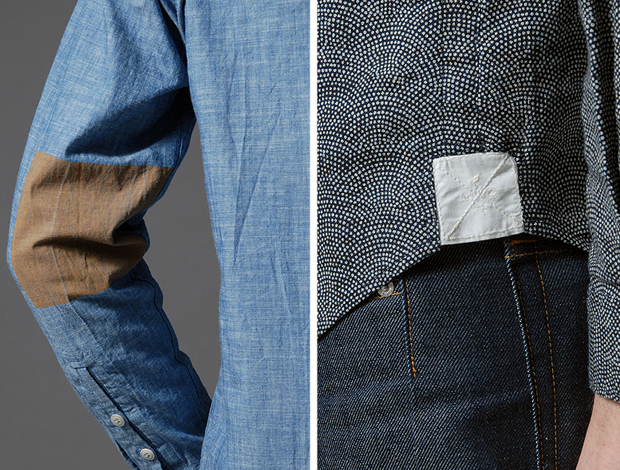 Finally the Printed Elbow Patch Shirt, incorporating 100% Japanese chambray cotton, makes for a refined and simple shirt, but with the addition of an angled chest pocket and printed brown elbow patches it becomes a must have and another example of the brand’s fine attention to detail. To check out all of the details and make a purchase for yourself, head to End Clothing. Folk tick all the right boxes in terms of functionality, i think, like you said the brand needs to think out of the box. But i believe as the brand matures and gets older it will develop. Folk are definitely a strong brand and have a lot to look forward to.